In the Medical Protective Wear category, you will find the proper protective equipment for work in the general practice and hospital. Whether you need surgical masks, gloves or safety glasses, you will find the necessary protective wear for your requirements, here. From examination gloves and surgical gloves to protective gloves for working with cleaning products and disinfectants: here you will find an extensive selection of disposable gloves. 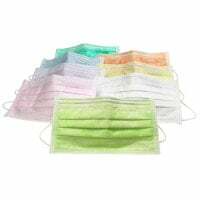 From Praxisdienst, you can purchase professional surgical masks for the general practice, clinic, surgery or lab in many colours and variations at affordable prices. Here, you will find single-use surgical caps and reusable surgical caps for covering the hair during surgical procedures. 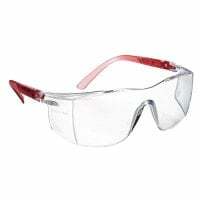 We offer safety glasses for work in the laboratory, practice and the operating room, which protect the eyes against flying particles, chemicals and potentially infectious materials. Here, you will find a wide selection of protective disposable and reusable clothing to prevent infectious transmissions during daily use in hospitals, clinics, labs and care homes. Surgical caps are an important part of protective wear during an operation. Therefore, Praxisdienst offers you a wide selection of various surgical caps for men and women–whether you need single-use surgical caps or reusable surgical caps that are white, colourful or with modern patterns. With Praxisdienst, you will find the proper surgical cap for every need. 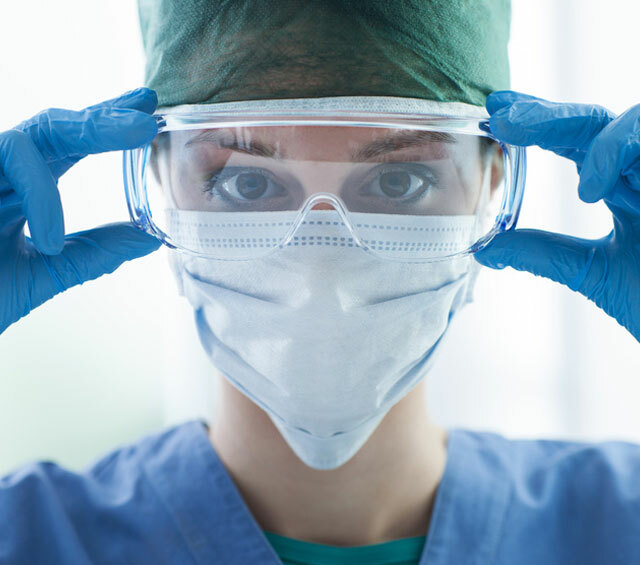 High value is placed on personal protective wear in medicine, as it protects the medical personnel from direct contact with potentially infectious substances. Medical protective wear is not only required in the operating theatre and lab, but also in daily use within the surgery. In this category, we offer you a wide range of high-quality medical protective wear for use in the general practice, hospital, operating theatre and care facilities. Our large assortment of gloves not only consists of single-use gloves like examination gloves and sterile surgical gloves, but also PE gloves and reusable protective gloves for cleaning work, for example. Gloves are an important element of the medical protective wear. They should always be worn during activities requiring handling of potentially infectious or otherwise dangerous substances. For your daily work in the surgery, we have put together a comprehensive offer of non-sterile exam gloves. Whether you need latex-free vinyl gloves, latex gloves with a moisturising inner lining or colourful nitrile gloves, you are guaranteed to find the proper disposable gloves to meet your requirements. Furthermore, we offer you a wide assortment of surgical gloves from name brands for various surgical procedures. In order to provide the optimal fit, we also offer you all surgical gloves in intermediate sizes. The surgical mask reduces the amount of potential germs in inhaled and exhaled air to equally protect both, the patient and wearer. Especially for surgery or even in other medical areas, the mask as a protective item reliably reduces the risk of infectious transmission. In our online shop, we have put together a diverse supply of professional surgical masks, from classic, single-colour masks to those with a colourful motif print. We offer you a wide assortment of safety glasses from Uvex and Euronda to protect your eyes during surgical operations, during cleaning work or when handling dangerous substances. For lenswearers, we also offer special glasses that can be worn in addition to your corrective lenses. Our reusable glasses are offer durability, a pleasant fit and a good field of vision. Surgical caps are an important part of the protective wear in the operating theatre. Therefore, you will find a large selection of different surgical caps for men and women, from Praxisdienst. Whether you need single-use surgical caps or reusable surgical caps, available in white, colourful or with modern prints, you are certain to find the proper surgical cap for every requirement. In the Surgical Clothing category, you can dress yourself from head to toe. 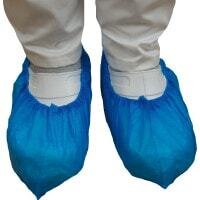 Wir offer you surgical caps and masks, as well as surgical shirts and trousers, as well as surgical clogs and overshoes–all medical protective clothing needed for an operation. 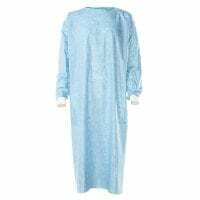 Furthermore, you will also find a large assortment of sterile and non-sterile surgical gowns for various surgical applications. Discover our large selection of medical protective wear from Uvex, Hartmann, Lohmann-Rauscher, Ansell, Unigloves and many more name brands. Do you have questions about medical protective wear or are looking for a specific product? Our customer service will happily advise you via email, chat or telephone.